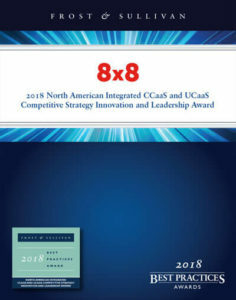 8X8 Wins Frost & Sullivan's 2018 North American Integrated CCaaS and UCaaS Competitive Strategy Innovation and Leadership Award | 8x8, Inc.
SAN JOSE, Calif.–(BUSINESS WIRE)– 8x8, Inc. (NYSE:EGHT), a leading cloud provider of voice, video, collaboration and contact centre solutions for over one million users worldwide, today announced that it has received Frost & Sullivan’s 2018 North American Integrated CCaaS and UCaaS Competitive Strategy Innovation and Leadership Award. 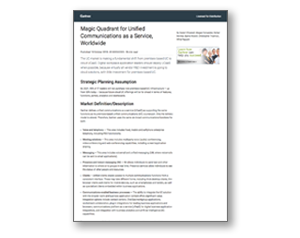 The award recognises 8x8 for introducing a cloud-based technology platform that combines comprehensive unified communications as a service (UCaaS) and contact centre as a service (CCaaS) capabilities. In 2018, 8x8 once again demonstrated its commitment to driving the future of innovation with the launch of 8x8 X Series, which helps businesses transform their customer and employee experience with one system of engagement across voice, video, collaboration and contact centre solutions, and one system of intelligence on a single cloud-based technology platform. 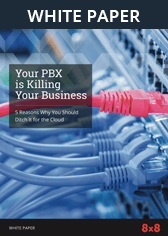 With 8x8 X Series, businesses communicate faster and smarter to exceed customer expectations. Download: Frost & Sullivan’s 2018 North American Integrated CCaaS and UCaaS Competitive Strategy Innovation and Leadership Award report. To learn more about why businesses are switching to cloud-based communications solutions, join the 8x8 Webinar on Wednesday Dec. 12 at 11am PST / 2pm EST with Robert Arnold from Frost & Sullivan and Live Oak Bank CIO Thomas Hill, “Banking on Business Continuity: How Cloud Communication Drives Customer Experience.” The webinar will cover the current state of the cloud communications industry, implications of siloed versus integrated telephony and contact centre solutions, and the real world benefits of running a full cloud tech stack.